Dr. Dandridge entered the human services profession directly from undergrad. She began as a foster care social worker in the city of Philadelphia, PA prior to moving to Virginia. She continued as a foster care social worker in Virginia while beginning her studies toward her master's degree in counseling. Dr. Dandridge has a great deal of experience working with trauma as her master's internship was with the YWCA's sexual assault and domestic violence program. She also worked as the sexual assault response coordinator at Ft. Lee while completing her master's degree and beginning her doctoral education. Dr. Dandridge began her clinical supervision toward licensure while working toward her doctoral degree. During that time she worked with at-risk youth in the community as well as in placement. While working as a clinician in a group home setting, Dr. Dandridge earned her CSOTP credential. 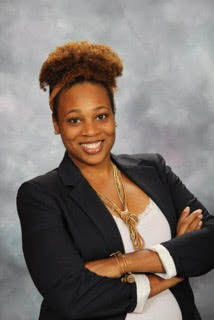 After passing her clinical licensure exam, Dr. Dandridge began her doctoral internship at a private practice under the direction of a licensed clinical psychologist. This is where her outpatient experience began, and during that time she learned her passion was to be in outpatient therapy and to, one day, open her own practice. Dr. Dandridge has worked with all ages, but has found that her passion has been to focus on children, adolescents, and young adults. She earned her play therapy credential while in outpatient to better assist in her desire to treat her clients. Dr. Dandridge has specialized in working with trauma, self harm, and inappropriate sexual behaviors. She has a wealth of knowledge in working with individuals who struggle with mood disorders, and continues to expand her toolbox in effort to best serve the community.